Whether you have a dog, cat or other animal as a pet or rely on animals at your ranch or farm, your choice in veterinarian may have a significant impact on your animal's overall well-being. You may require a veterinarian for routine check-ups as well as for emergency care and any medical needs that may arise. We created this directory to make it as easy as possible to find and compare local veterinary practices that offer the specific services you need. You can conduct a search by location or by specialty to find a qualified veterinarian near you. This website also includes a good deal of helpful information related to the key areas of veterinary care, including animal surgery, animal dentistry, large animal care, dogs, cats, emergency services, preventative care and vaccinations. You are welcome to visit our Veterinary Information Center or to read recent articles and blogs by skilled veterinarians throughout the U.S.
Click here to find a veterinarian in your area. What is the best diet to give a male cat with crytals and blood in his urine? Mallard Duckling Tail Feathers falling off, is this normal? Is My Four-Legged Friend Too Fat? 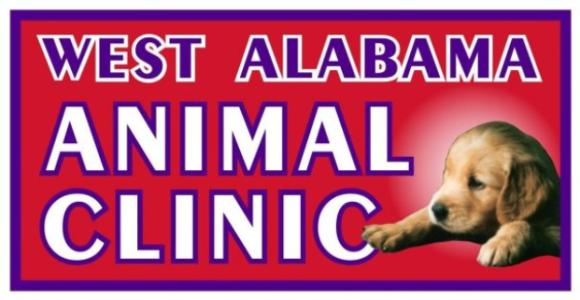 Welcome to West Alabama Animal Clinic!